Many visitors to Nottingham and the surrounding area are surprised at the area that Sherwood Forest covers. Back in the times of Robin Hood, Little John and Maid Marion, Sherwood Forest would have been a dense woodland a third of the size of modern day Central London. It passes from the North of Nottingham, past the Industrial town of Mansfield and up to Worksop in the North. Now the forest still takes up a huge section of the Nottinghamshire countryside and offers some fantastic cycling routes for both road cyclists and mountain bikers. It is an amazing place to ride for cyclists: a picturesque setting, with plenty of historic stops along the way. The roads are quiet, fun and challenging, and the setting must be seen to be believed. We took a few photographs on a recent ride though. Is Nottingham forest really one of the most beautiful places on earth? Read on and find out! Used with permission from the Sherwood Forest Trust. It’s possible to break up the legendary Sherwood Forest into 3 significant areas due to its size. Byron County in the South, where I class as home. The central Heart of Sherwood including the amazing Sherwood Pines Trail Centre. The Dukeries area in the North of Nottinghamshire with Clumber and Thoresby. One of the greatest things about the Sherwood Forest area for cyclists is that many of the roads are quiet. There are a few main roads in the area where traffic gets heavier but in general when you’re away from the major roads there’s very little traffic which makes this a fantastic area for road cycling as well as all the naturally filtered forest air. The roads to the North of Nottingham make for excellent training. They’re moderately rolling and most road cyclists will be able to stay in the big ring throughout the course of a ride. There are a few challenging hills, but nothing which should pose difficulty to most relatively fit riders (except, of course, for the momentary suffering we all face as we push ourselves). 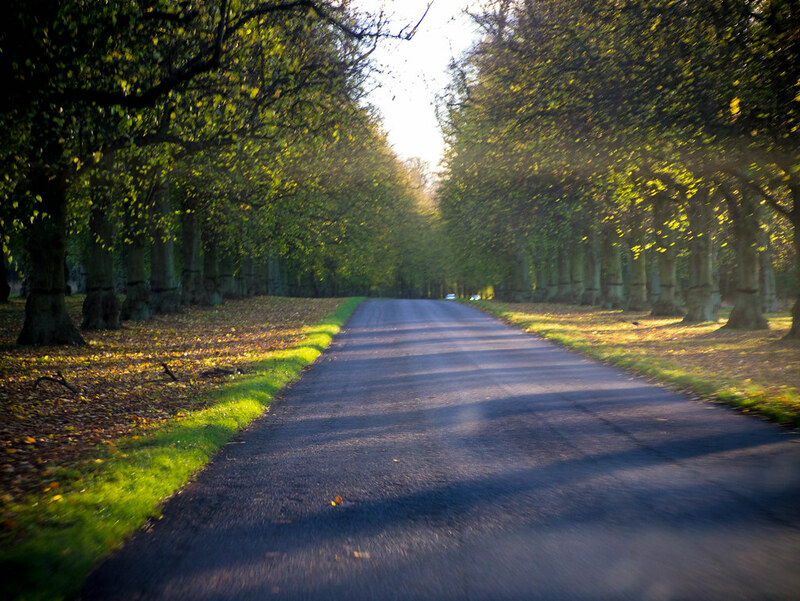 The ride detailed below showcases a broad selection of what Sherwood Forest has for visitors and tourists, whilst giving road cyclists a fantastic way to experience the area on two wheels while taking in some of Nottinghamshire’s best tourist attractions and villages. From the North of Nottingham the B683 rolls gently past Bestwood Country Park, the southernmost point of Sherwood Forest and up towards the picturesque village of Papplewick. Don’t miss out on the gastronomic delights of the Griffins Head Public House on the crossroads, which is often used as a Sunday morning cyclist car park and meeting point. From Papplewick crossroads I head east towards the aptly named Seven Mile House, which marks the midway point between Nottingham and the Industrial town of Mansfield on the main A60 road. From here, a quick right turn and then almost immediate left gets me off the main road and back onto quiet country lanes. 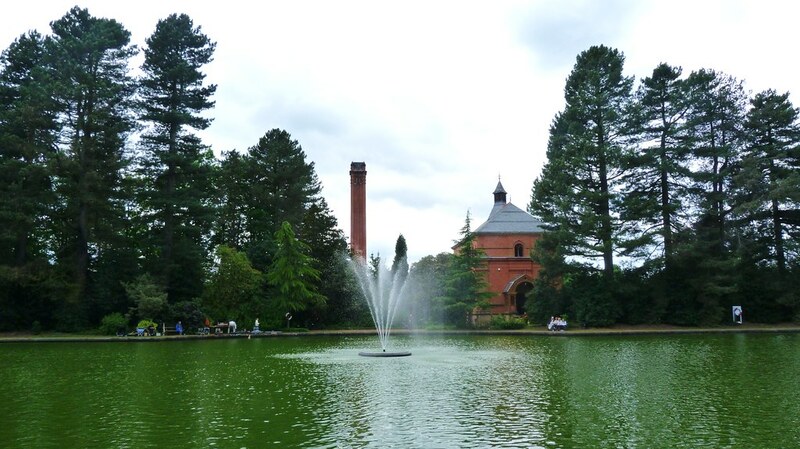 I veer left at the base of Burntstump hill and immediately am riding alongside Samson Wood and past Papplewick Pumping Station, the most spectacular, well-preserved Industrial age water pumping station in the country. It is a great place to visit if you have a passion for engineering. From Papplewick Pumping Station I head straight across at the crossroads and start climbing Rigg Lane. The road kicks up a little here. Rigg Lane climbs gradually for about 500 metres before kicking up slightly towards the top of the hill and dropping down towards Blidworth Bottoms. It’s enough of a climb to get your heart and legs pumping without going too far into the red. Climbing Rigg Lane with Samson Wood in the background. A quick left at the bottom of Rigg Lane and then a swift right sees a wall in front of you, known as Bull Hill. Bull Hill rises up to the village of Blidworth with its gradient progressively getting steeping until it reaches 15% close the top. It’s one of my favourite climbs to tackle on short training rides as I can hit the climb of Rigg Lane hard, recover a little and then really go all-out on Bull Hill. At the bottom of the hill I swing right at the Tesco store following Baulker Lane up towards a giant Wind Turbine which looms at large in the distance, before heading straight across at the crossroads into the quaint village of Farnsfield. Following the road towards the small town of Southwell, the next village along the road is Edingley. In Edingley I turn left and follow the signs for Kirklington. At the T junction with the A617 road I turn right, following the road for about 500 metres before taking a right turn following signs for Eakring. To get to Eakring I must climb the locally infamous Eakring Hill, past Eakring Brail Wood and Redgate Wood. It’s no mountain but a tough little climb to get the heart pumping and it’s certainly challenging enough to split a group into pieces on a chain gang ride. As you feel pretty high up at the top you’ll catch some beautifully expansive views out towards the dense northern woodlands of Sherwood Forest and more wind turbines too. From the top of Eakring Hill the road drops down into the village. From here I turn up the hill for a few hundred metres before turning right at the rustic looking Saville Arms Public House following signposts for Wellow. The road rolls gently into Wellow which houses the last remaining Maypole in Nottinghamshire. Every Spring Bank Holiday Wellow is the scene of festivities where traditional Maypole dancing is seen and the village May Queen is crowned. The Maypole in Wellow can be traced back as far as 1856 and is now made from steel although previously was made from Larch wood from the nearby Thoresby Estate. From Wellow a left turn takes me onto the A616 and then a quick right turn after the bend leads me into Ollerton and into the area of Sherwood Forest known as the Dukeries. I follow the signposts for Walesby, as the town makes way to rolling fields, and I continue through glorious rolling countryside, turning off to the village of Bothamsall out onto sweeping vistas of the forest in front of me. About a mile after Bothamsall Village ends I take a right turn up what appears to be a very quiet country lane which is signposted as a cycling route for Clumber Park and takes us over to the the A614 road which runs alongside Clumber Park. Clumber Park is a National Trust property which was once the country estate of the Duke of Newcastle. Its 3,800 hectares are home to a vast array of wildlife and it offers something for everyone with it’s beautifully landscaped gardens, huge variety or walking trails, as well as a lovely café to grab a drink and slice of cake to fuel your further adventure. From Carburton Crossroads I turn left onto the B6034 following the sign for Ollerton continuing to cycle through the heart of the Dukeries area where I pick up signs for the Sherwood Forest Visitor Centre which is the site of the Major Oak. The Major Oak is a legendary large oak tree of between 800 and 1000 years of age . According to folklore its hollow trunk was used as a shelter for Robin Hood and his Merry Men. However, as Robin Hood was most likely to have been around during the 11th and 12th century, this tree would have only been a relative sappling at the time. If Robin Hood was hiding from the Sheriff of Nottingham in a tree, it likely wasn’t inside the Major Oak. From the main road I turn right, cycling up the hill and continuing to follow signs for the Sherwood Forest Visitor Centre and Edwinstowe. The Visitor Centre is located just over the brow of the hill and the Major Oak is a ten minute or so walk from the car park, so it’s an easy push with your bike if you’re in mountain bike shoes or have a pair of café cleats. From Sherwood Forest Nature Reserve and Visitor Centre I continue into the Villeage of Edwinstowe which proudly calls itself “Robin Hood’s Village” and St Mary’s Church in Edwinstowe is believed to be the site where Robin Hood and Maid Marrion were married. I carry straight across at the crossroads and out of Edwinstowe carrying stright over at the aptly named Robin Hood Public House. Just past the Robin Hood is Centre Parcs Sherwood Forest Holiday Village and a little further along the road is the impressive Rufford Abbey. 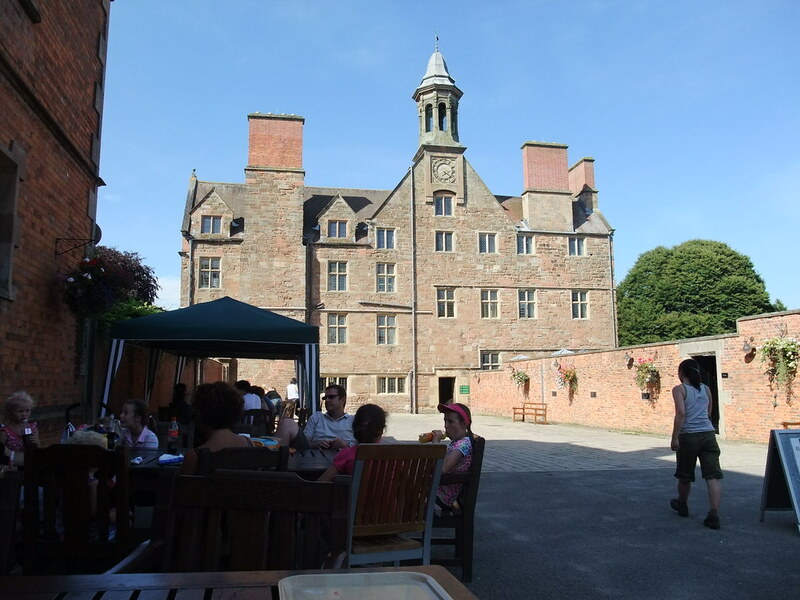 I often take the turning into Rufford Abbey as they also have a fantastic coffee shop. 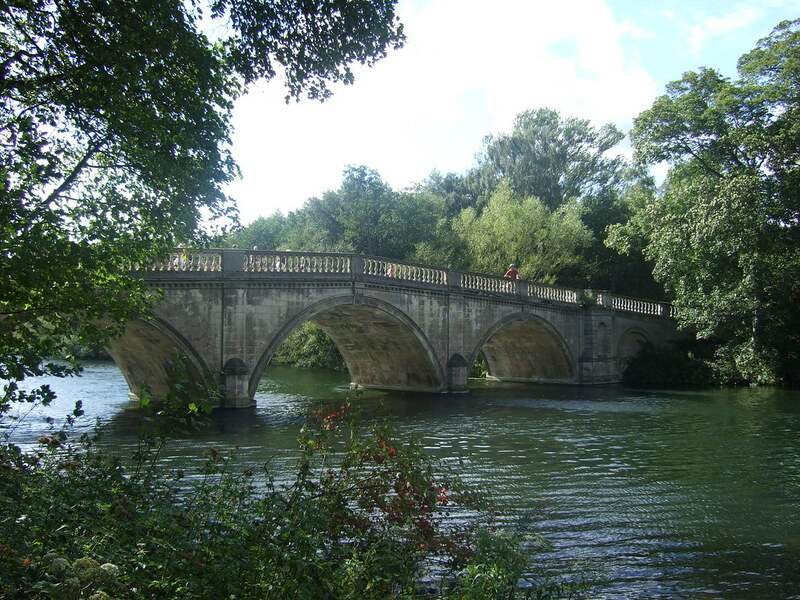 Featuring the remains of one of the best preserved Cisterician Abbeys in England, the site is now a Country Park for all to enjoy with a fantastic lake, gardens, Craft Centre and the old Coach House Café which is a great sun trap in Summer. From Rufford it’s a few miles south on the A614 before you can turn left off the main road and cut through Bilsthorpe, over to Farnsfield before heading across the A614 at the White Post roundabout and past Boundary Wood into to the village of Rainworth. In Rainworth I take a left turn alongside the Co-op following Warsop Lane back into Blidworth, climbing up Main Street as it kicks up towards the Black Bull Public house. From there, I follow the road to Larch Farm cross-roads in the affluent village of Ravenshead. To your right here lies Thieves Wood. Thieves Wood was a haunt for outlaws such as Robin Hood . The King’s Highway ran through the wood and it was here that many a highwayman plied his trade off travellers. 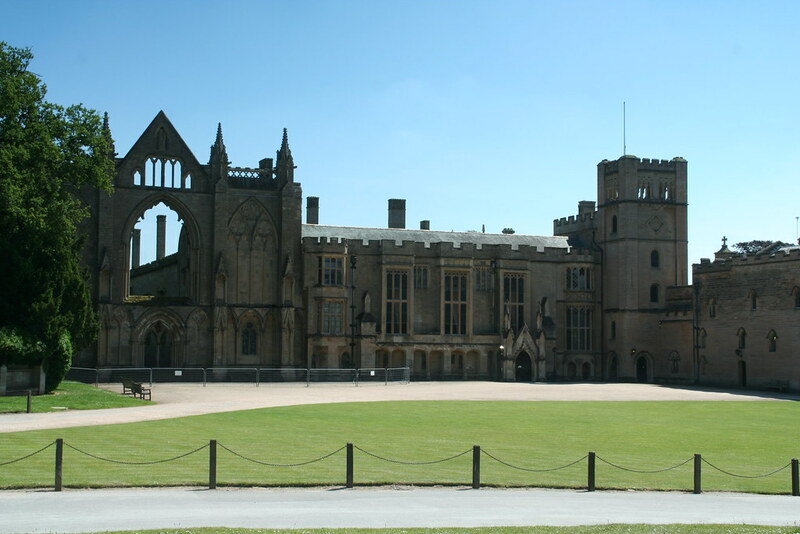 From Larch Farm cross-roads the main A60 road passes through the village of Ravenshead via the entrance to the majestic Newstead Abbey. It is a 12th century monastic house which was once owned by the poet Lord Byron and includes a museum on his life and beautiful gardens to explore. A right turn just after Newstead Abbey takes me right back to the village of Papplewick to join the road back to Nottingham.